What's a few more months at this point? An end may be in sight for the two-year antitrust investigations into Google as the European Commission sets a rough deadline to reach an agreement. "We can reach an agreement after the summer break," EU Competition Commissioner Joaquin Almunia said in a Concurrences Journal conference earlier today. "We can envisage this as a possible deadline." The European Commission's summer break runs through most of August, so Almunia's new deadline points to a late August or September for a final decision. Earlier this month, Google reportedly presented a number of concessions to the EU's executive arm, including clearer labeling of its own services in search results and having fewer restrictions for advertisers. The European Commission will investigate Google's proposed concessions before reaching out to Google rivals for feedback to reach an agreement. Last month, the U.S. Federal Trade Commission reached its own verdict on the antitrust allegations, with Google agreeing to a few voluntary concessions. The FTC ruled by a 5-0 vote that there was not enough evidence that Google biased search results to favor its own services. Recently, an EU French watchdog group suggested "repressive action" against Google for dragging its heels complying with regulations. 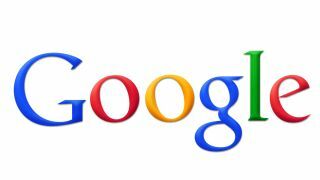 Almunia's decision to postpone a verdict until after the August summer break may look like yet another delay in the case, but with a deadline in sight Google and its rival parties may finally reach a verdict this fall.